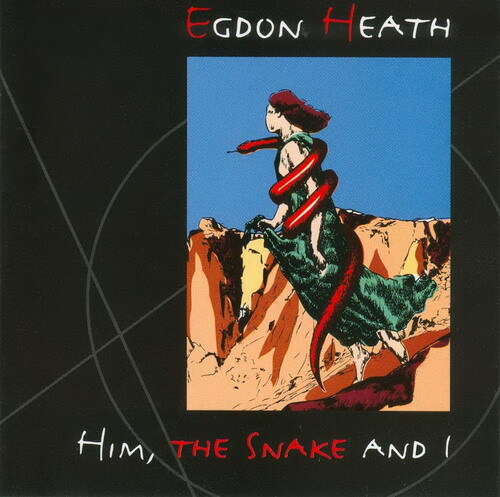 This is the only album I have from Egdon Heath, the 1993 release of Him, The Snake and I. This is pure, unadulterated neo progressive rock similar in style to Saga, 1980s IQ, and Shadowland. The music is quite accessible and easy to get into, so if you're looking for complexity you won't find it here. Lead vocalist Maurits Kalsbeek sounds very similar to Michael Sadler, but having a Dutch accent. There isn't anything really exceptional about the other musicians other than they perform their music admirably. Perhaps if the material would have been more suitable for developmental activities, I'd have more to say about them. Him, The Snake and I has the keyboards as the dominant instrument, as most neo prog does. No major surprises here, just good old Saga-style neo prog. For the most part an enjoyable listen. The best songs are Gringo, Witness, Mother's Dream, and Satellite. Nothing bad, but nothing amazing either. Easily a three-star rating. Good, but not essential.